Xinomavro is an indigenous grape variety that grows in Northern Greece and is anything but common. Wines made from this variety lack primary fruit on the nose; instead one finds an intriguing combination of olives and tomatoes. But on the palate, raspberry flavours typically shine through. The colour is often pale and relatively unstable, and can evolve quickly into a tawny colour in the glass. The rim often looks mature even in young wines. 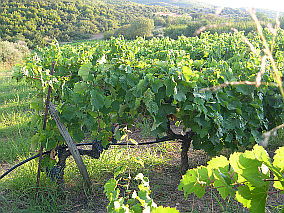 In the vineyard, Xinomavro is difficult to grow, as it is sensitive to a number of diseases. In addition, it is one of the few grape varieties in Greece that is very susceptible to vintage variation. Poorly made Xinomavro is an undrinkable, sour liquid. It is no mistake its name translates to “black acid.” It takes more than average winemaking talent to soften the harsh tannin structure. But the best winemakers are able to craft stunningly rich and concentrated wines that are truly world-class, able to develop and mature over many decades. It is a sublime pleasure to taste matured bottles of top Xinomavro. Its vegetal character increases over time, and the harsh tannic structure that Xinomavro often exhibits when young softens considerably, transforming the wine into a velvety pleasure. These wines gain a lot of elegance over time, losing all their roughness. Xinomavro pairs well with strongly flavoured meat like steak, duck, and venison, and also can be a surprise success with spicy food. Xinomavro grapes are planted widely all over Northern Greece and are included in numerous TO (regional wine designation) regions. The lenient regulations for TO designation have led many winemakers to experiment with successful blending combinations of Xinomavro. This has led to some exciting new finds; for example a blend of Xinomavro, Syrah, and Cabernet Sauvignon currently looks quite promising. In Greece, the designation OPAP indicates wines with appellation of superior quality. There are four Xinomavro OPAP zones in Northern Greece—three in Macedonia and one in Thessaly. Macedonia is the largest geographical region in Greece and forms the crossroad between the Aegean and the Balkans. It borders Albania and the former Yugoslav Republic of Macedonia, with Bulgaria to the north. In contrast to the other wine regions in Greece, the climate is quite variable and often more Continental than Mediterranean. The Florina prefecture is one of the coldest wine-producing regions in Greece. Only Xinomavro is allowed in the OPAP Amyndeo. The wines produced here are elegant in style with soft tannins, impressively expressing the cool climate. Vineyards are located mainly at altitudes between 1,800 and 2,500 feet. The Alpha Estate was established in the late 1990s and has since become one of Greece’s top wineries. Imathia, in central Macedonia, includes the well-known OPAP of Naoussa, which is also dedicated purely to Xinomavro. Some of the finest wines of the country are to be found here. They can be immensely concentrated with a complex structure and spicy, vegetal aromas. The tannins can be very firm, and the wines have enormous ageing potential. Many vineyards lie at altitudes between 650 and 1,200 feet, and Naoussa is blessed with complex terroir. 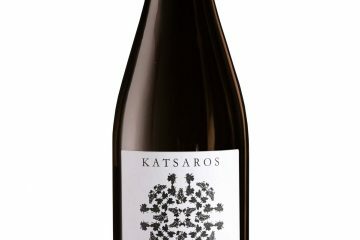 Some of the best producers include Argatia, Boutari, Dalamara, Karyda, Kir Yianni, and Thimiopoulos. Most of Kilkis is at sea level and the OPAP appellation of Goumenissa lies in the western portion. The law here requires that Xinomavro be blended with at least 20% Negoska, a deep coloured grape with soft tannins. Vineyards are located at low altitudes between 550 and 850 feet. The producer Boutari has been active since the 1970s, and Aidarini and Tatsis are small family producers that are also well worth seeking out. 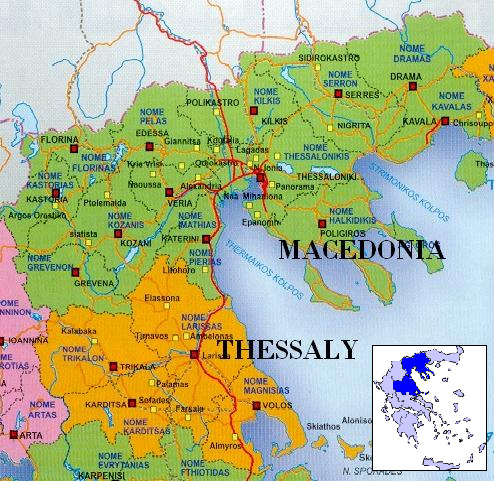 Thessaly forms the heart of mainland Greece, but the OPAP appellation of Rapsani is located just south of Macedonia, on the lower foothills of Mount Olympus. Here, Xinomavro, Stavroto, and Krassato must be blended in equal amounts. The vineyards reach from 300 up to 2,300 feet. The large pioneering producer Tsantali started to focus on Rapsani in the early 1990s and is widely credited for its commercial success. 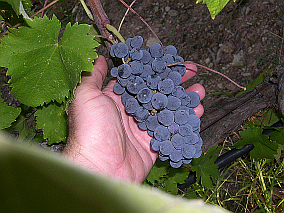 Xinomavro grapes are also used to produce excellent still and sparkling rosés, as well as very interesting blanc de noir wines, which are typically still, not sparkling. To me, it is the reds that set this variety apart. The currently released 2007 vintage has resulted in truly stunning wines. I have tasted the ’07 vintage from all four regions and they are delightful. The best winemakers took the gift given by nature and crafted rich and concentrated wines that will give the consumer great pleasure over the next two decades. Markus Stolz, a German, lives with his Greek wife and their four children in Athens, where the wines of Greece first captivated him. He holds the advanced certificate of the WSET, and authors Elloinos, a blog that shares his passion for Greek wines and Greek culture. He can be found on twitter @elloinos. Beautiful piece, Markus. I can’t believe that I have gone a lifetime without tasting Xinomavro. There is a marvelous Greek restaurant in Los Gatos, not far from where I live, and I will make sure to have a bottle there the next time I go. Evan, thank you very much – Xinomavro wines are not your typical crowd pleasers. They do require attention and offer more than just a simple drinking experience. They can be extremely rewarding if well made, and are able to truly capture attention. They should be decanted for a couple of hours, it is fascinating how the wines tend to open up once exposed to air. I enjoy wines that offer distinctive character, and the Xinomavro variety is unique. Randall, how exciting that you might soon no longer be a Xinomavro maiden. I hope that the Greek restaurant in Los Gatos stores wines from good producers. As in Burgundy, it can be a bit of a minefield to find the really stunning wines. I have the feeling that the US importers should add some growers for distribution. I didn’t taste much Xinomavro when in Greece as I was in the Peloponese and thus spent time sampling much of the local Agiorgitiko and some lovely Mavrodaphne. That said, I’ve tried one but look forward to trying more. 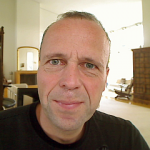 Thanks for the post Markus!